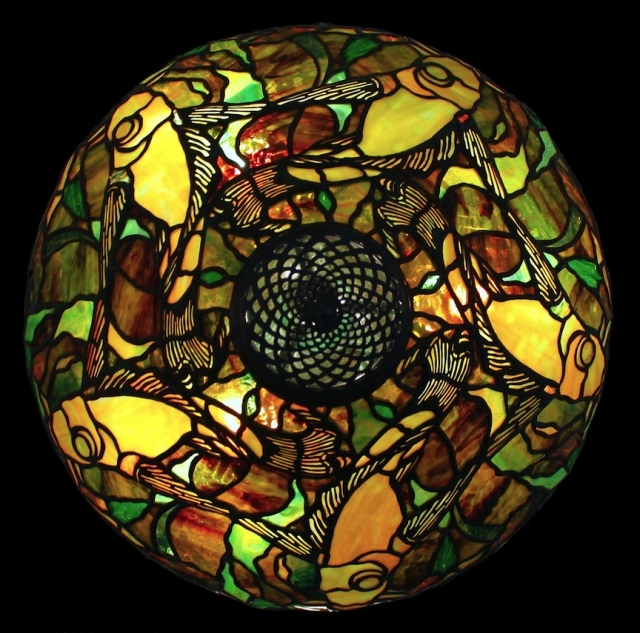 The 16″ Fish shade is one of our favorite Tiffany Studios shade designs. The shade shows a school of five Koi gently swimming in a pond, weaving amongst plant life. With their elegant swirling bodies and filigreed fins and tails, the fish form a rhythmic design across the surface of the shade. In many cultures, Koi symbolize good fortune, success, and prosperity. Koi come in different colors, each with its own meaning. Yamabuki, or Golden Koi symbolize riches, wealth and prosperity. We have created this lamp for our showroom and it is currently available for purchase in our studio. When creating a shade for our showroom, we look to our library of glass for color inspiration and challenges. 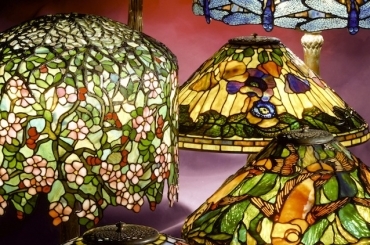 Sometimes, as is the case with this shade, we will select a piece of glass that we would not normally associate with a particular shade design. For this Fish, we began our glass selection by choosing an unusual piece of golden yellow ripple with deep red swirled into it. This glass became the the backdrop for the various green water plants. 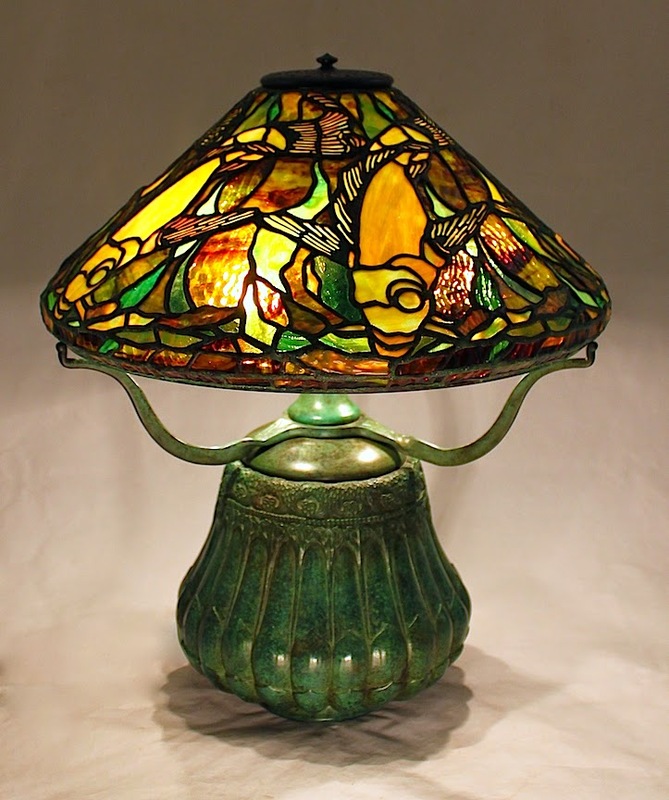 The Koi were then cut from a sheet of subtle yellow/green glass that had an undercurrent of peach. The completed shade has a warm, golden tone that radiates a tranquil glow. The shade is shown on the highly detailed Cereus base.